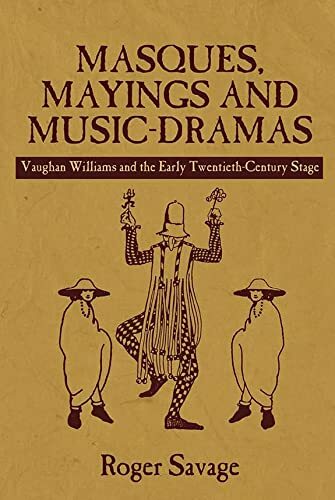 Masques, Mayings and Music-Dramas comprises a sequence of in-depth case-studies of significant aspects of early twentieth-century English music-theatre. Vaughan Williams forms a central thread in this discussion, and Stratford-upon-Avon serves as a geographical focus-point for mediating conflicting visions of an English musical tradition. But the reach of the book is much wider, shedding new light on English Wagnerism (at Glastonbury especially) and on the reception of Wagner's ideas as a point of emulation and resistance. No less significant is the discussion of Purcell and the seventeenth-century masque - one of the primary sources for re-imagining an English dramatic tradition - and the more familiar images of the May festival, the Mummers' play and the pageant play, which are tellingly re-contextualised. The book also looks at the associations between Vaughan Williams, the theatre artist Edward Gordon Craig and the impresario Serge Diaghilev. The sequence is framed by the image of the pilgrim-vagabond Vaughan Williams's setting of the poetry of Matthew Arnold and Robert Louis Stevenson as a metaphor and paradigm for his creative career and personal progress. The book not only sheds light on the activities and ambitions of principal agents but also illuminates a particularly dynamic moment in the re-emergence of a distinctively English music-theatrical practice: one especially concerned with calling on aspects of the past to help to secure a worthwhile future. Notions of Englishness turn out to be less insular than sometimes thought and the idea of a 'musical renaissance' more complex when the case-studies are understood in their proper historical context. Scholars and students of twentieth-century English music, theatre and opera will find this volume indispensable. Roger Savage is Honorary Fellow in English Literature at the University of Edinburgh. He has published widely on theatre and its interface with music from the baroque to the twentieth century in leading journals and books.